I'm back for my second installment in the Old Plot New Tricks Series . Click HERE to read my post on The Hunger Games and discover how its plot actually came from Spartacus and the myth of Theseus and the Minotaur. Today I'm here to talk about.... TWILIGHT! Now in this Old Plot: New Tricks we search for the origianl plot in the modern story and I bet I know what your all thinking. Yeah, yeah, Twilight is based on Pride and Prejudice, Stephanie Meyer said so a million times. Aside from Edward not liking Bella at first and having some old school manners and being quite scowly and wealthy....Pride and Prejudice has almost nothing to do with Twilight. BUT Beauty and the Beast AND The Myth of Psyche and Eros are actually the plots behind this story. Don't believe me? Let me show you. Twilight: Bella/Beauty lives with Charlie her father. B&B: Beauty finds herself in a romance with a rich, lonely, moody, beast who used to be human. Twiilight: Bella find herself in a romance with a rich, lonely, moody vampire who used to be human. B&B: Beauty must find a way to overcome her fear of the beast's beastly nature, and love the prince inside. Twilight: Bella easily overcomes her initial fear of Edward's vampire nature and loves the 17 yr old boy inside. Twilight: Bella's friends like Jessica and Lauren become very jealous of her relationship with Edward, particularly all the wealth and riches he's bestowed on her, plus the fact that he's gorgeous and Edward "freaking" Cullen. B&B: The Beast sees himself as a monster and has moments of being monstrous (why he's turned into the beast in the first place) and doesn't believe he deserves love. or Beauty. Twilight: Edward sees himself as a monster and has moments of being monstrous (when his hunger takes over) and doesn't believe he deserves love or Bella..
What do you think? Stephanie Meyer has been very open about her creation of Twilight, from the dream to the decision to base Edward a little bit off of Mr. Darcy. I don't ever recall her mentioning Beauty and the Beast, but...there's no doubt that she is very familiar with this fairy tale and most likely it had at least some unconscious influence on the story. Now let's check out plot number 2, slight more obscure. Psyche and Eros: Psyche, a mortal girl finds herself in a romance with Eros, the immortal god of love. 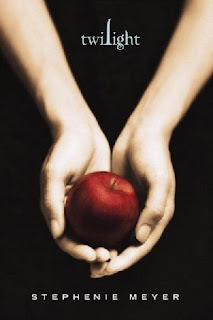 Twilight: Bellya, a mortal girl finds herself in a romance with Edward the immortal god vampire of love. Aphrodite, the goddess of love and beauty becomes very jealous of the mortal Psyche who is so beautiful, that worshipers are calling her the new Aprhodite. Twilight: Rosalie, the epitome of beauty becomes very jealous of Bella who is so beautiful that 5 boys are in love with her--not Rosalie and Edward "freaking" Cullen who never looked twice at Rosalie loves her too. Bella has taken over the role of most beautiful or at least most adored-->worshipped. P&E: Eros goes to dispatch Pysche (on Aprhrodite's orders by causing her to fall in love with a beastly creature) but instead he falls in love with her and can't do it. Twilight: Edward's bloodlust nearly sends him to dispatch Bella (because he wants to eat her--and Rosalie believes he should kill Bella and get it over with after the van incident) but instead he falls in love with her and despite his hunger, he can't do it. Twilight: Edward whisks Bella away to his meadow, but she is NEVER allowed to see him hunt and he conceals his true face--the sparkly skin of a killer until that moment. P&E: After Psyche sees Eros' true form, he leaves her. Twilight: (New Moon)After Bella is attacked by Edward's family (showing their true vampire form), he leaves her. Twilight: Eventually Bella and Edward end up together, she is granted vampire immortality and they have a daughter.Looks like Rennesme was always inevitable. Ok, so there you go! I'd love to know if Stephenie Meyer was aware of these similarities or not. She was an English major and pretty familiar with the classics, so I'm willing to bet she's at least heard the story of Pysche and Eros once, but whether or not she consiously drew from it and/or Beauty and the Beast would be cool to hear in a future interview. lol! You totally have me convinced! Nicely done, good lady. No funny this time, just admiration. Yeah. I'm pretty convinced, too. Way more proof here than for the P&P connection. I had no idea that she said the book was based off of Pride and Prejudice. There's absolutely no connection! Nice points! There is way too much evidence for a B&B connection. Edward is definitely Beast reconfigured. Simon, wow I made you go all serious. What does this mean???? Heather, yeah I agree. I never understood the other connection at all. Kate, Ooh I love how you phrased that, the beast reconfigured! Nice. ooh thats actually really cool! pride and prejudice?